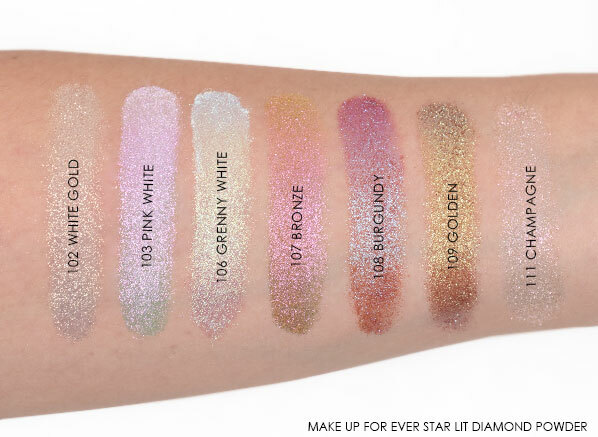 It was love at first swatch for me and the MAKE UP FOR EVER Star Lit Diamond Powder. I’d even go as far as saying they’re the most beautiful loose eyeshadows I have ever tried… and I’ve swatched a fair few eyeshadows in my time! We may be saying goodbye to the original Diamond Powders, but trust me when I say that the new Star Lit Diamond Powders are even better. The just-launched collection contains 7 show-stopping sparkling shades, each with a unique colour shift that will make your draw drop – trust me! 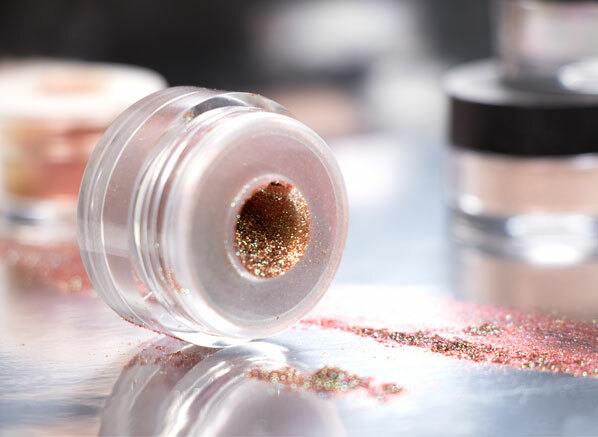 The Star Lit Diamond Powders are an enhancement of the discontinued Diamond Powder. They’re extra special because they’re made of 99.9% pure mother of pearl, so you can expect shine and lots of it. This concentration of mother of pearl, plus the size of the pearls used, is what makes the powder different to Star Lit Powders, another loose eyeshadow available from MAKE UP FOR EVER. You can think of Star Lit Powder as more of a soft shimmer, whereas these new Star Lit Diamond Powders are designed to dazzle! 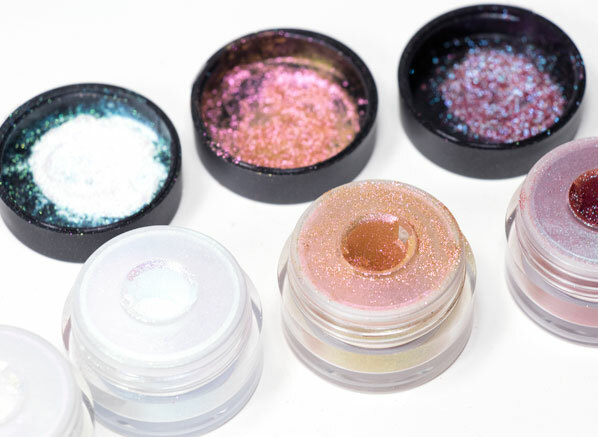 Made to catch the light, each Star Lit Diamond pigment can be applied alone or paired with the MAKE UP FOR EVER Aqua Seal, a waterproof liquid converter that intensifies colour and payoff. And if their beautiful pigment wasn’t enough, they’re also extremely multi-purpose. You can wear them as eyeshadow, eyeliner and a few of the shades could even be worn as a highlighter. 102 – White Gold is an ivory white with a warm gold shift. 103 – Pink White is a bright white with fuchsia pink flecks throughout. 106 – Grenny White is a cool-toned white woven with mint green. 107 – Bronze is an eye catching bronze with a copper shift. 108 – Burgundy is a cool-toned plum with blue and pink flecks. 109 – Golden is a glamorous yellow gold enhanced with bronze. 111 – Champagne is a delicate silver-pink. This entry was posted on Monday, October 15th, 2018 at 2:54 pm and is filed under Make-up, New products, Spotlight On, Swatches. You can follow any responses to this entry through the RSS 2.0 feed. You can skip to the end and leave a response. Pinging is currently not allowed.